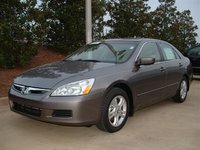 Users ranked 2007 Toyota Avalon against other cars which they drove/owned. Each ranking was based on 9 categories. Here is the summary of top rankings. 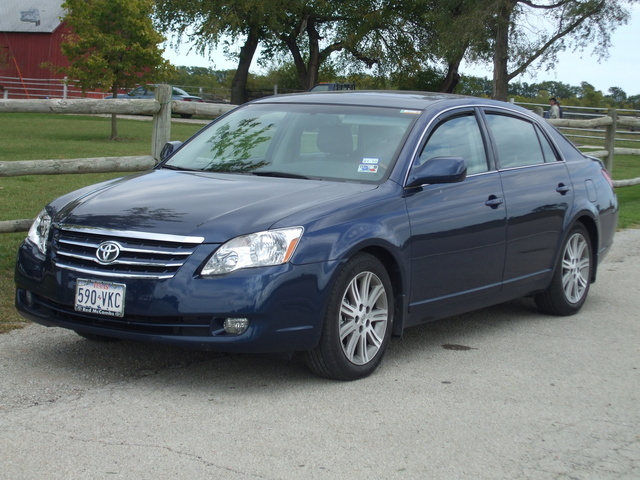 Have you driven a 2007 Toyota Avalon? Displaying 1 - 10 of 16 2007 Toyota Avalon reviews. The 07 Avalonltd Is One Of The Best Kept Secrets In Mid Sized Lux Cars — I bought this Avalon LTD for my wife who is an 8th grade teacher. We came out of a Honda Accord. She said that the Honda was to light. The Avalon is a heavy car that really hugs the road. And that makes her fell safe. The back seat is so big 3 adults feel like they are in a limo. Trunk is huge and easy to get groceries in and out. As she drives the Hwy, we were getting 32 to 33 MPG, Burns Reg Gas. Plenty of storage in the front. I like the Avalon better than the Lexus ES350, it's bigger and drives better. Pros: Safe Car, Gets Great MPG, Very Comfortable Luxuries Leather, Holds the Road, Low total cost of maintenance, 0 to 60 in 6.9 sec. CarGurus has 10,186 nationwide Avalon listings starting at $1,794. Loved It — If I didn't need to get a SUV, I'd have kept this one. 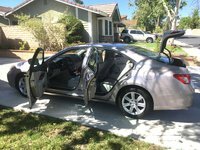 I was original owner and car has been excellent. Comfortable, roomy and very good gas mileage. I will definitely buy another one when the need arises. A real gem! 2007 Avalon — I purchased the car because we had to make weekly 400mi roundtrips on the I-95. The car was a fantastic choice for long distance travel. Highly recommend this car. The seating is very comfortable. The back seat is very spacious and has recliners built into it. Pros: Toyota.Great quality and reliability. Very roomy. Feels very safe. Quick And Reliable — This Toyota Avalon is great when entering or merging with traffic. Cruise control is helpful and the front seats are very comfortable. Lumbar support and heat when you need it, especially during the winter mornings. Spacious interior both in the front and back seats. Pros: Great handling and responsiveness when getting onto highways. I Love My Avalon — We bought this new in 2007 and added some custom trim from Toyota ourselves. It's a VERY comfortable car with lots of power and an excellent sound system. Just wish it had a built in MP3 player for those long trips to Napa. Pros: Comjfortable, sporty and good gas milage! I Heart My Avalon — Love how it handles. Very solid, good pick-up, decent gas mileage. Comfortable for both 5'4" me and 6'10" husband. Would have liked a stereo system that reads mp3 files and interfaced with iPod, but if that's my only complaint, then that's not bad. Hard to close trunk, but I've built up some good muscles making sure it latches. Love the Smart Key system. When this one is old and ready to retire, I'd buy another one! And yes, while it looks like a car for old people, it's fun to drive! Sandy's Avalon — My baby is a dream. She is smooth, responsive, beautiful, comfortable and other great qualities. It is a very well built car with lots of class. She brings me about 24-25 mpg in town, and just over 30 on the road. That is including some 75-80 mph areas on last couple of trips. I have had her over a year and am still finding out goodies. She is lots of fun. She has lots of room and everyone has commented how much space they have anywhere they sit. I like the automatic back window shade and how the mirrors tint green at night when lights come in bright. Love My Lexus, I Mean, Avalon — Here's the femail perspective: My Avalon came with black leather and trim. It looks great, but really shows the sand that we have so much of in Florida. The car handles great and the ride is super-smooth. Great acceleration, but it also gets good gas mileage (22/31). The upgraded rims and low rear spoiler give the car a rich look. Will Always Give You A Compliment When Your Friends Get Inside! — Sweet to drive. Smooth, classie, and its got the power when you want it. It's even good on gas. Cons: Once you own one then you see the things you dont like. Like the fake leather that cants keep its color.